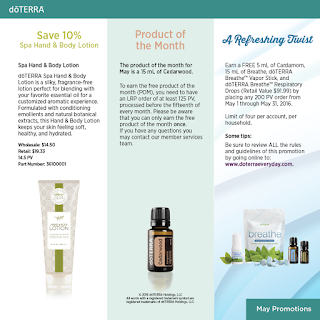 Promo #1: Save 10% on Spa Hand & Body Lotion! 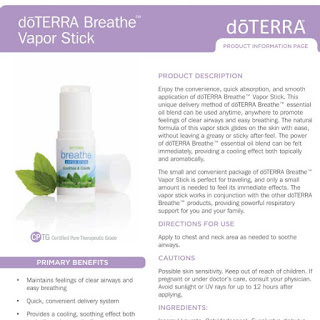 This fragrance free, light-weight lotion is perfect for hydrating the skin and is even more powerful when combined with the essential oil or blend of your choice. 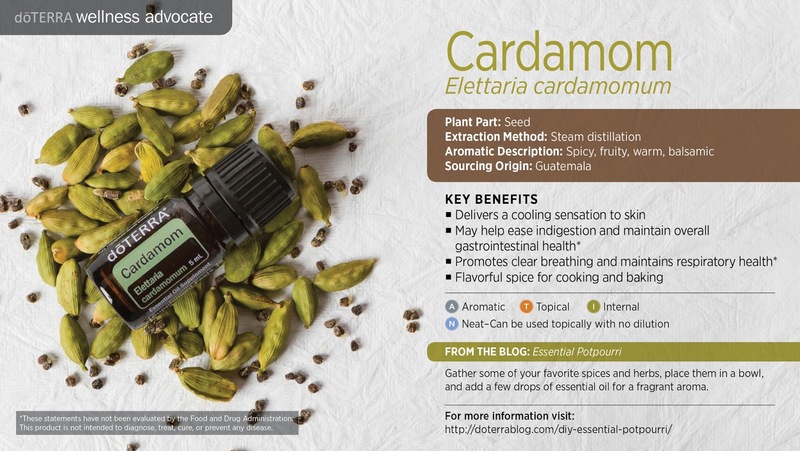 The way to silky, smooth skin lies in the perfect blend of antioxidants, botanicals, and important humectants. 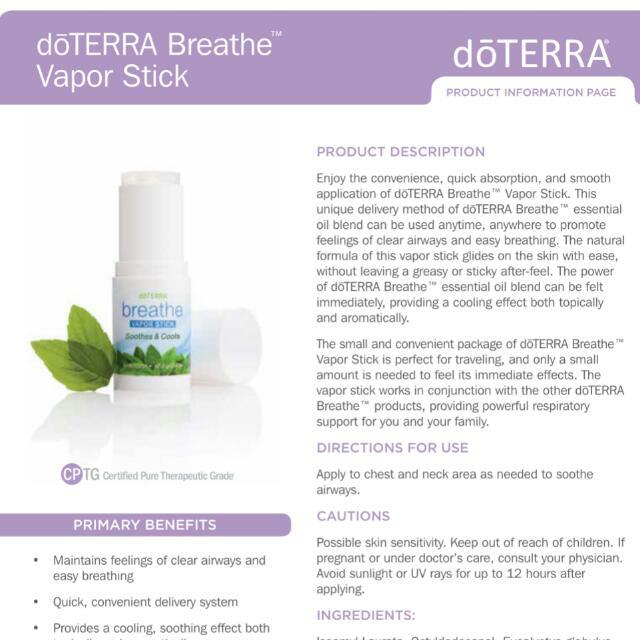 Extracts of cruciferous vegetables contribute to the formula's ability to help build the skin's natural protection and environmental defenses. 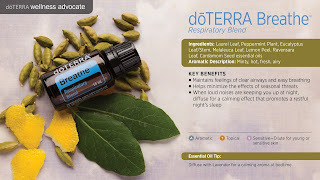 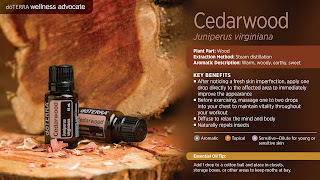 Promo #2: Product of the Month: Current wholesale members earn a free 15ml bottle of Cedarwood with your 125pv LRP order placed between May 1-15. 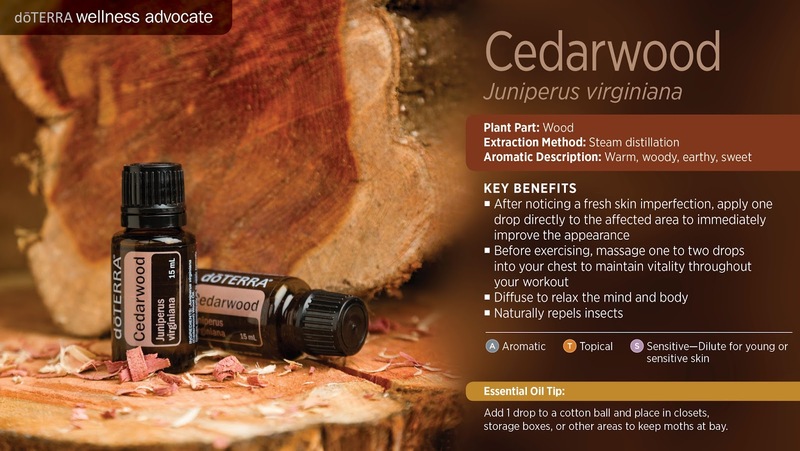 Known for promoting clear, healthy looking skin, Cedarwood has a warm, woody, balsamic fragrance that promotes relaxation. 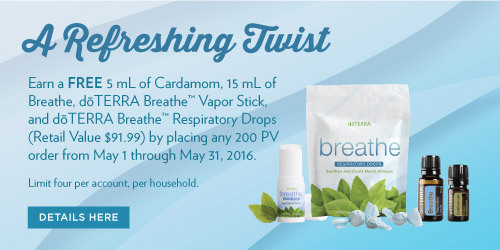 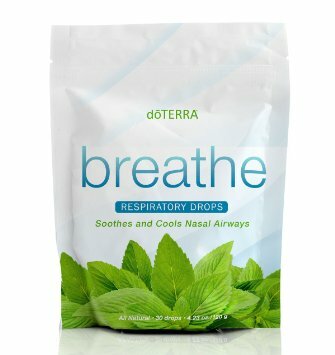 Promo #3: A Refreshing Twist: Earn a free 5ml of Cardamom, 15 ml of Breathe oil, Breathe Vapor Stick and Breathe Respiratory Drops (retail value of $91.99) by placing any 200 PV order from May 1 through May 31, 2016. 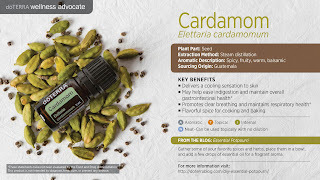 For more details, follow this link.